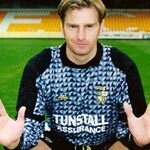 A comprehensive selection of Port Vale FC home, away and goalkeeper designs are featured in our Port Vale kit database page. The home kit had a retro look with many fans commenting on its resemblance to the England 1982 International kit which also featured a two-colour shoulder section. (image: Port Vale FC). 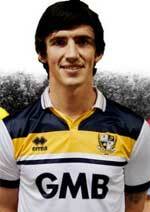 In a style similar to pin-striped kits of the early 1980s and the 1960s is this predominently yellow kit. (image: Port Vale FC). 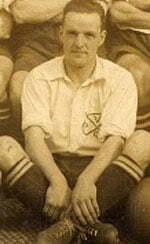 In an apparent homage to a kit from 1912-13, the Vale launched this claret and blue number as their official third kit. (image: Port Vale FC). 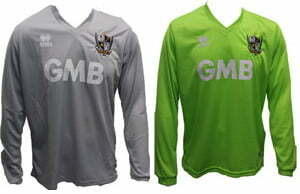 The club decided upon two simple one-colour designs for their goalkeeping shirt. The home design is a light grey affair (far right) while the away design is a lime green colour (right). 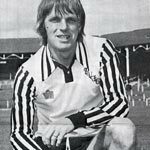 (photos: Port Vale FC). The club announced that only the home strip would be changed for 2015-16 with the second (black/amber) and third (purple) designs remaining unchanged. 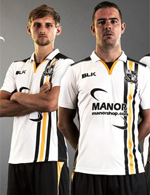 The new home kit appeared to be a homage to the kits of the early 80’s complete with a black “V”. 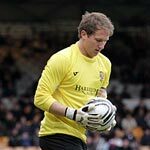 (photo: Port Vale FC). 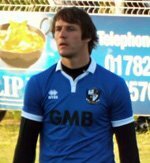 While the club maintained the green design from the previous season, they also introduced this blue design which is worn by Sam Johnson during a pre-season friendly. 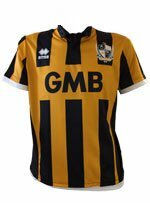 This design was introduced when the League refused Vale permission to play in their black and amber away kit against Notts County. It was announced that it would remain the third choice for the 2015-16 season as well. Reflecting the black and amber kit of the 1950’s this design was chosen for the 2014-15 and 2015-16 seasons. The club switched kit manufacturers in the summer and this Errea design was launched. It features gold and black detail similar to mid-90’s designs. 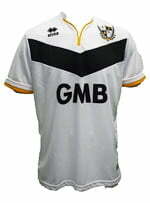 The club issued a new, simple white and black design with new sponsors GMB’s logo on the front. The back contained a vintage print of the local area. 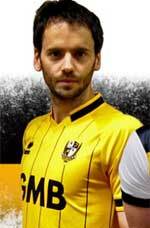 A black away kit with a diagonal white/gold slash was launched in August. 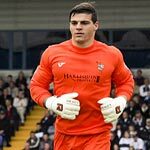 The goalkeeping shirt for 2013-14 was a pleasing, simple design. It came in green, yellow or pink. Pictured is the green design. After some “temporary” kit designs due to the club being in administration, a final design was launched in November 2012 with the sponsors being “UK Windows”. One of two goalkeepers designs for 2012, this is the green kit. 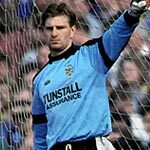 An alternative blue goalkeeper’s strip. Like the home kit, a permanent away kit was launched during the season. Replacing the pink number, this was a more conservative yellow design. With Vale in administration, a deal for a new kit had been postponed. So, the club’s administrators agreed a temporary deal with Vandanel. This is the home kit. With Vale in administration, a deal for a new kit had been postponed. So, the club’s administrators agreed a temporary deal with Vandanel. 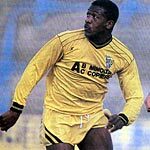 But to compound matters, a white kit was not available in time, so Vale lined-up for their first match of the season (a league cup clash with Burnley) in this pink effort. 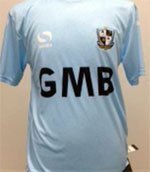 Grey was a controversial choice and led to Vale having to change to a Grimsby strip during their FA Cup tie after the ref felt the two kits clashed. 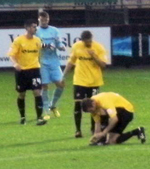 In their 2011 FA Cup tie against Grimsby, Vale’s grey away kit was deemed to clash and the Valiants had to resort to wearing Town’s red away kit. They lost! 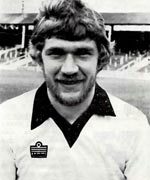 The letters “PVFC” were spelt out on the socks. 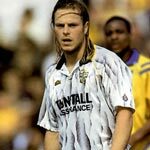 This kit marked the end of Harlequin Property’s four year shirt sponsorship deal. This yellow design was widely used by the club. 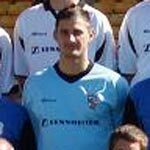 A goalkeeper design for the 2009-2010 season. 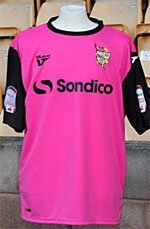 This top is included because due to a kit clash, it was used by Vale during a 2010 away game against Bury. A green jersey with Harlequin logo. 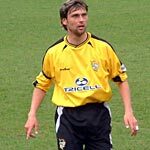 This kit was announced as a celebration of Vale’s formative kit colours, but no record has been found to suggest Vale had previously played in black and white stripes. This blue design was used as an away kit from 2008 to 2009 and then maintained as a third kit for the 2009-2010 season. Celebrity fan Robbie Williams reportedly helped broker the shirt sponsorship deal with his microphone supplier Sennheiser. 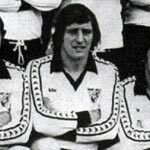 The club’s first venture into a black away kit design. This season BGC sponsored both home and away kits. Another design that was only used for 12 months. This differs from the 2005 design in having one black and one white shirt sleeve. Modelled by Leon Constantine. 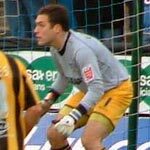 The third kit for the 2005 to 2006 season, again sponsored by Broxap. A grey design with Broxap logo. 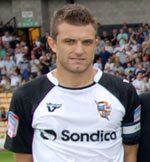 This 2005-2006 away kit design is similar to the black and amber stripes design of the Vale’s 1960-1961 home strip and pays homage to that iconic design. 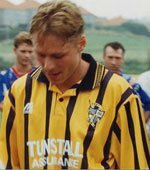 It was the first season that Vale had separate home and away shirt sponsors. 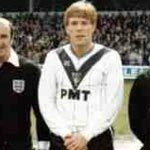 It also incorporated the old Port Vale crest on the back (pictured) and a tribute to club legend Roy Sproson on the sleeve (pictured). There were two goalkeeper designs for this season with BGC logos. 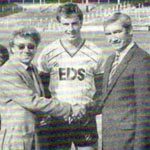 The first strip to be sponsored by BGC. The yellow away design was slightly reworked for this season. 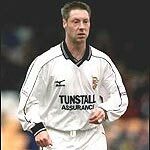 Vale were forced to use Huddersfield Town’s away kit in 2003 when both their white home and blue away strip clashed with the home team’s kit. Sponsored by the much-maligned Tricell. The yellow third kit featuring the Tricell design. 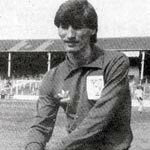 Due to frequent clashes with the original blue away design, this was often Vale’s “away” kit of choice that season. 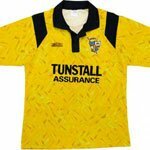 The original away design which was rarely used as Vale preferred the yellow third kit. 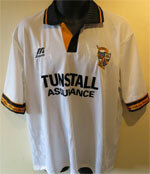 The final season that Tunstall Assurance were the shirt sponsors. Patrick manufactured this for the first season, in the second season Vandanel took over the manufacture. An unusual choice of red for the goalkeeper’s jersey. 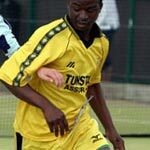 Tunstall Assurance were the shirt sponsors. Patrick manufactured this kit. The kit worn when Vale won the LDV Vans Trophy in Cardiff. Initiallly a Mizuno design, this was rebadged as a Patrick design in the second season. 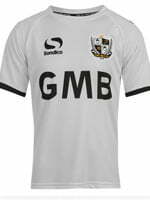 Port Vale changed their black shorts to make this the club’s first all-white kit – a move allegedly inspired by Real Madrid. A return to the traditional green keeper’s jersey. 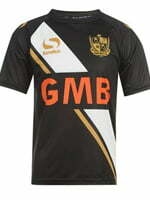 This design had the Port Vale crest on the sleeve. It was produced by Mizuno. The “last” button collar design – all subsequent designs have elasticated collars. Reportedly based on an 1896 design to celebrate its 100th anniversary. This classic design featuring gold and black detail was worn during one of the club’s most successful periods. 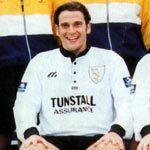 Modelled by Vale legend Steve Guppy. A youth team shirt design with alternative sponsors the Hanley Economic Building Society. This design was debuted at Vale’s Autoglass Trophy Final win. Modelled by Ian Taylor and Bernie Slaven. 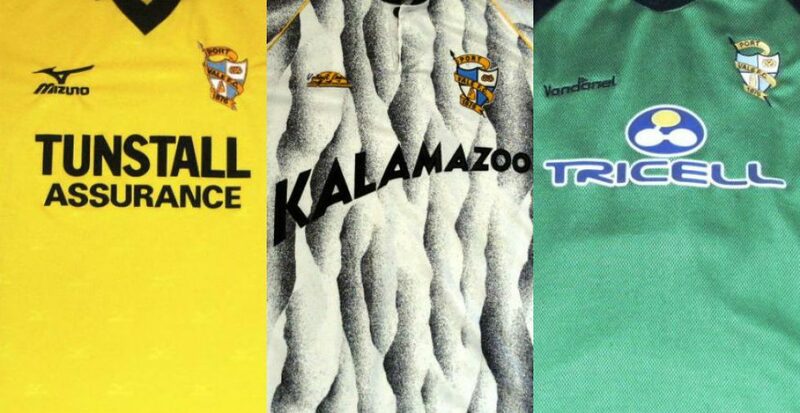 In 1992, the sponsors changed from Kalamazoo to Tunstall Assurance. 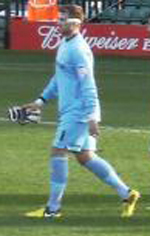 This blue goalkeeping design was noticeably less “busy” than the outfield shirts. 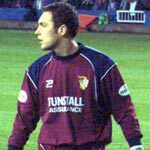 Vale joined the then-trend to add patterns to club’s traditional colours. 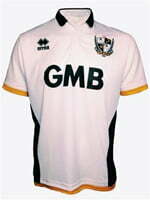 This, combined with the sponsorship of “Kalamazoo” makes this shirt a cult favourite amongst some fans. The goalkeeper design used a similar pattern. This yellow kit was the club’s third kit. 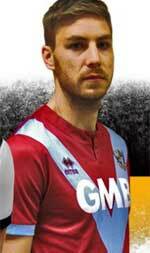 The kit was remodelled slightly (a new collar was added) and the sponsors changed to Kalamazoo. 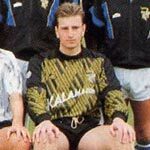 The goalkeeper shirt only differs slightly (a slightly different sleeve design) from the 1988 version. 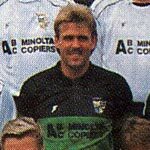 This kit was manufactured by Bourne Sports. 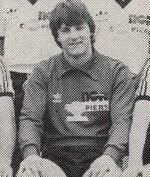 The first season’s sponsors were ABC Minolta Copiers, who were then replaced by Kalamazoo for the 1990-91 season. This kit was manufactured by Bourne Sports. The sponsors were ABC Minolta Copiers. 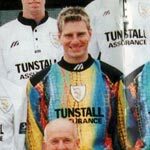 This kit was worn during Vale’s promotion to Division Two. 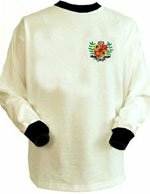 Modelled by Ray Walker during the famous FA Cup win over Spurs. 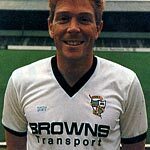 This kit ran for one season as did the sponsorship with Brown’s Transport. It featured a new club crest which is was used for over twenty five years. 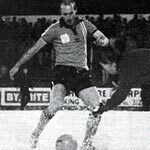 During a snowy game in the 1985/1986 campaign, the ref was unable to see Vale’s white strip. 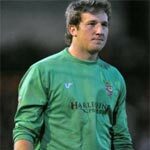 The Valiants were forced to wear an orange-coloured training top (not a Luton Town strip as some people claim) for the game. A pinstripe design sponsored by EDS. Modelled by Chris Pearce in 1983. 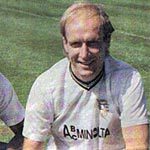 This “V” shaped design, sponsors “PMT” (Potteries Motor Transport) and a promotion in 1983 made this a memorable kit design. It featured a new club badge, the winning design from a schools competition (pictured). 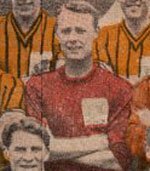 The first goalkeeper’s shirt with sponsorship on it. 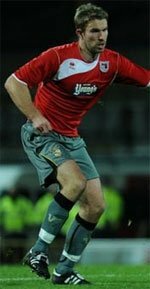 This strip was the first to be sponsored and appears to have the sponsor’s logo placed in two different positions during the season. The red goalkeeper’s design from that season. Similar to the previous season’s effort, this was manufactured by Admiral. It is modelled by David Harris. Manufactured by Bukta this design featured a short-lived “Valiant knight” club crest. A smart Admiral kit that marked Vale’s centenary year. It is worn by Colin Tartt in this image. 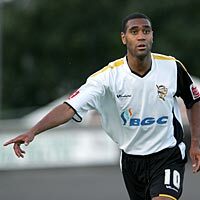 Manufactured by Bourne Sports, this kit represented a radical departure from previous black and white designs. 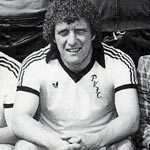 Instead of the club badge, it featured the script “PVFC” which had been made popular by the Leeds United side of the 1970s. This design had a black collar and cuffs and marked a return to black shorts. 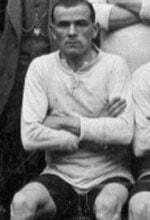 A simple all-white kit with round collar and cuffs, modelled here by Sammy Morgan. This was a simple affair. 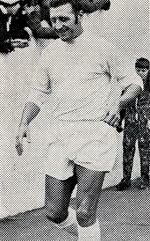 It was worn with black shorts from 1966 to 1967 and with white shorts from then onwards. It is modelled here by Vale legend Roy Sproson. 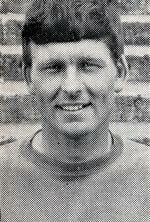 Keith Ball models this simple, unadorned goalkeeper’s design. 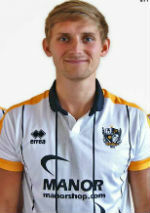 Legendary manager Freddie Steele returned to Vale and asked for the club colours to change back to black and white. According to press reports, Steele felt black and white was a more “manly” colour. 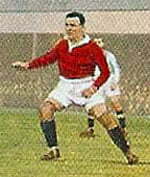 The kit also included a red version of the club crest. 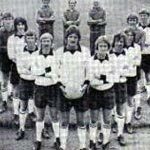 In 1964-65 Vale used white shorts but the top remained virtually unchanged until the end of the 1965-66 season. 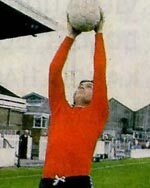 Peter Taylor (who later found fame coaching with Brian Clough) models this simple red goalkeeper’s design. The photo is hand-tinted. 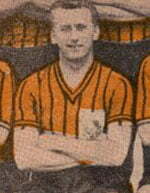 Club legend Harry Poole models this pinstriped black and amber design in this (hand-tinted) photograph. It was in use for three seasons. 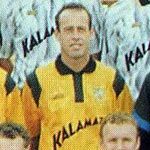 The kit changed from black and white to amber and black which was initiated by newly installed club chairman Jake Bloom. 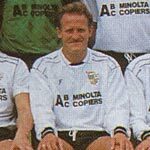 This period is regarded as the finest in the club’s history so perhaps it is appropriate that the home kit is a classic – captain Tommy Cheadle sports a simple white shirt with black collars (which look brown in this hand tinted image). 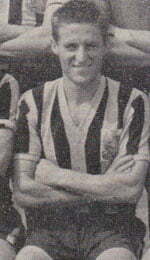 Team photographs show the same kit being used in the 1957-58 season. 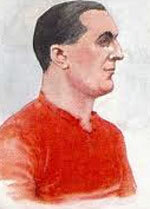 This cigarette card shows that Vale had reverted back to a red shirt design. 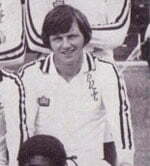 A photograph that shows Vale in a white kit with a Staffordshire knot badge design. 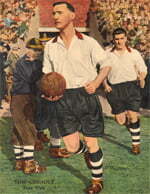 This cigarette card from the 1920’s shows star striker Billy Briscoe in a red kit. 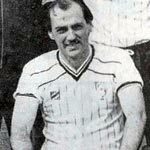 This is a black and white photograph but it appears to depict a simple white shirt and black shorts kit. 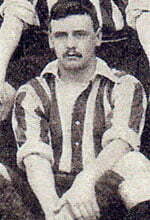 It’s difficult to tell from a black and white photo but reports indicate that the design was (whisper it quietly) red and white stripes… The player pictured is James Peake.